What could be a good merienda than this? 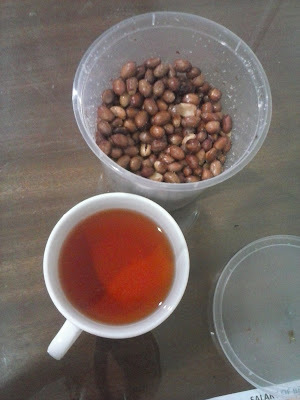 Peanuts and tea. For now, I can only drink tea. I cannot yet eat some peanuts and all those nuts as cashew and the like. It will still take perhaps another six months before my braces get removed to enable me to chew those lovely foods again. I missed the nuts really.